Newtown conceded six goals against The New Saints on Saturday which proved to be a long day for the Robins at Latham Park. 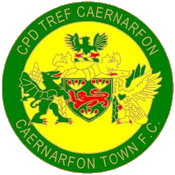 The Welsh Premier League champions were certainly determined to win themselves three points after their title rivals, Connah’s Quay Nomads, lost to Caernarfon Town on Friday night. Six goals were scored by the visitors including a second half hat trick from the league’s top goalscorer, Greg Draper. TNS’s Aeron Edwards, Ryan Brobbel and Kurtis Byrne also added to the scoreboard. Saturday’s defeat is now Newtown’s 2nd loss at Latham Park this season in the league after Connah’s Quay Nomads back in February. 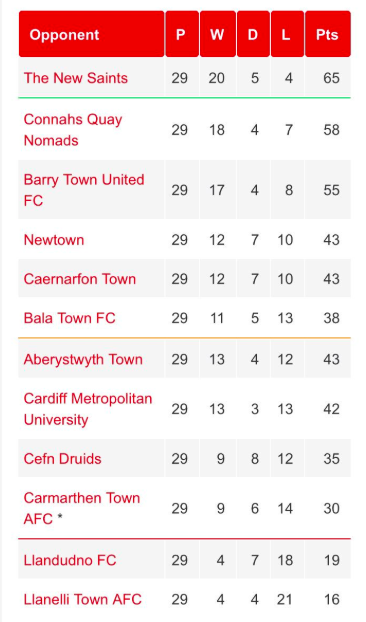 Newtown remain in fourth place in the Welsh Premier League table with 43 points, joint fourth with Caernarfon with 3 games remaining. Manager Chris Hughes made one change ahead of kick-off as Callum Roberts was suspended so Joe Kenton came in for the left back. The opening minutes of the game saw the Saints move straight to the front when striker Greg Draper produced his first effort of the day after the 5th minute, the New Zealander sending his shot wide off the target. Unfortunately for the Robins, the visitors found the net two minutes later as Aeron Edwards opened the scoring. Newtown responded after 10 minutes on the clock when Nick Rushton was positioned on the edge of the box hitting his shot at the roof of TNS’s net – the red’s first real effort of the game. Edwards was then at it again for TNS two minutes later as the midfielder attempted to get his second goal of the game. This time his attempt was 25 yards out that went well wide off the post. Before the match had reached the half hour mark, a referee change was made as Cheryl Foster replaced Huw Jones. 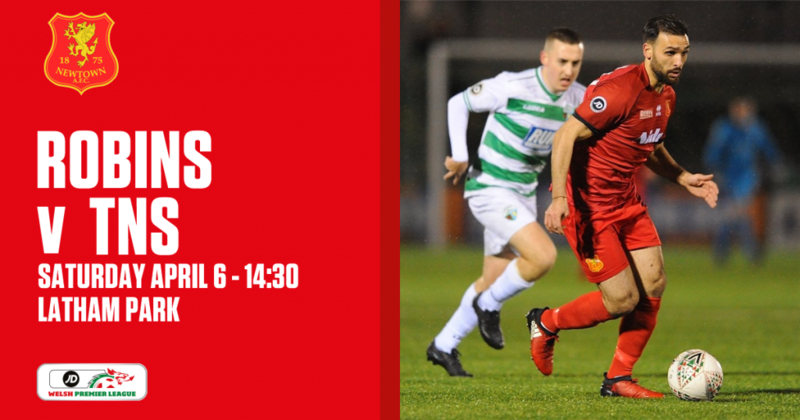 Five minutes before the interval, TNS doubled their lead after Jamie Mullan ran the ball into the Newtown box before cutting the ball back to find Ryan Brobbel on the edge of the penalty area to slot the ball into the net. The Robins knew they had a lot to do in the second half to change the scoreline around and just four minutes in saw Jay Denny pick up the ball in TNS’s box but his shot went wide. And on the 54th minute, midfielder Alex Fletcher took a shot that unfortunately went over the TNS crossbar. But four minutes later and the game looked to be put to bed when Draper got his first of the game after his team mate, Blaine Hudson, produced a header that struck the post with the ball bouncing back out for the Kiwi to finish the job. It got even worst for the hosts on the 62nd minute when TNS were awarded a penalty kick. But the sun shined on goalkeeper Dave Jones who saved Draper’s penalty with his leg. But eventually Draper made sure he scored again despite his penalty miss as Mullan cut the ball back to the striker to make it 0-4 to the visitors. The final 10 minutes of the game saw TNS add two more to the scoresheet. The first one being a goal from Kurtis Byrne after Adrian Cieslewicz picks out Byrne who slots his shot home in the six yard box. Then the visitor’s sixth and final goal completed a hat trick for Draper when Brobbel led a breakaway charge before passing the ball to the New Zealander who finishes his shot low beneath Jones. Newtown AFC: 1. Dave Jones (GK); 19. Craig Williams (C), 5. Kieran Mills-Evans, 26. Sam Barnes, 11. Joe Kenton, 6. Jay Denny (17. Sam Phillips), 23. Alex Fletcher, 18. George Hughes, 9. Luke Boundford (10. Steve Leslie), 8. Nick Rushton, 32. Porya Ahmadi. Substitutes: 10. Steve Leslie, 17. Sam Phillips, 25. Will Evans, 13. Jack Perry (GK). The New Saints: 1. Paul Harrison (GK) (C); 12. Blaine Hudson, 5. Jack Bodenham, 3. Chris Marriott, 22. Kane Lewis, 23. Aeron Edwards (21. Kurtis Byrne), 6. Jon Routledge, 10. Danny Redmond (4. Tom Holland), 8. Ryan Brobbel, 14. Jamie Mullan (11. Adrian Cieslewicz), 9. Greg Draper. Substitutes: 30. Lewis Dutton, 2. Simon Spender, 4. Tom Holland, 11. Adrian Cieslewicz, 17. Dean Ebbe, 21. Kurtis Byrne.